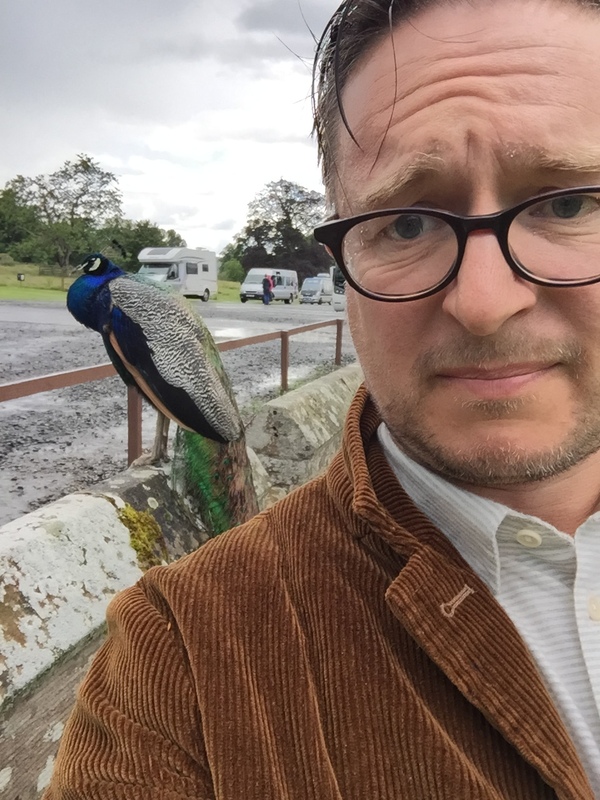 A week in Scotland: The other bits (part two) - Well Dressed Dad - It is a proper menswear blog. Like, with original words and opinions and suchlike. Part one covered my experiences the first half of the week, which was spent in Edinburgh. In this part we pack up the car and head North. Before heading off on a long trip it is wise to imbibe in the traditional drinks of the region. Attempting to get an understanding of Scotland by staying a week in Edinburgh is obviously a futile exercise, so we had decided that this would be a half and half holiday, kind of like a pint of shandy, if you like. Which part would prove to be the beer and which would be the lemonade? Edinburgh had given us a fine place to stay, plenty of good food and drink, and lots of walking. The second half would trade walking for driving. Here I go again, reducing the historical, aesthetic and historic impact of fine monuments by using them as a selfie background. 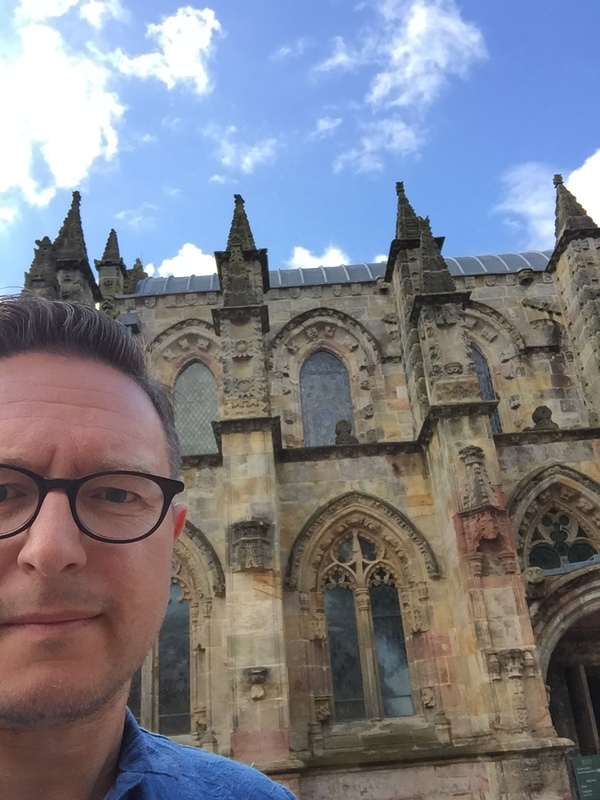 Before leaving the area we had one last point of interest to visit, Rosslyn Chapel. Ever since I devoured “The Da Vinci Code” (just after publication, I’ll have you know I was way ahead of the curve on that one!) I’ve been curios about the wee stone chapel way out in the wilderness. Turns out though that it’s not that small, and only a short drive from Edinburgh, so hardly remotely situated. Well worth the trip though, as it is very well presented and the guide was entertaining and interesting. The interest generated by the book had brought in the funds needed to restore and conserve the ancient stone chapel and add a nice information centre. 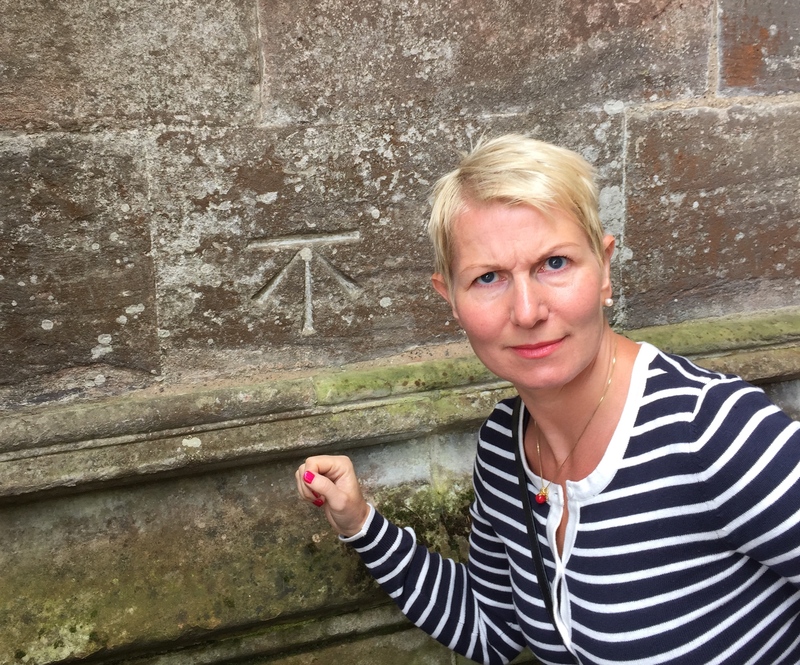 WDW discovers a templar symbol on the wall of the chapel! They still haven’t opened the vault to see if the Ark, Grail and all the other bits and pieces are there though, which is probably for the best as that Ark can be a bit tricky to deal with. The new Quensferry bridge. Awesome engineering. 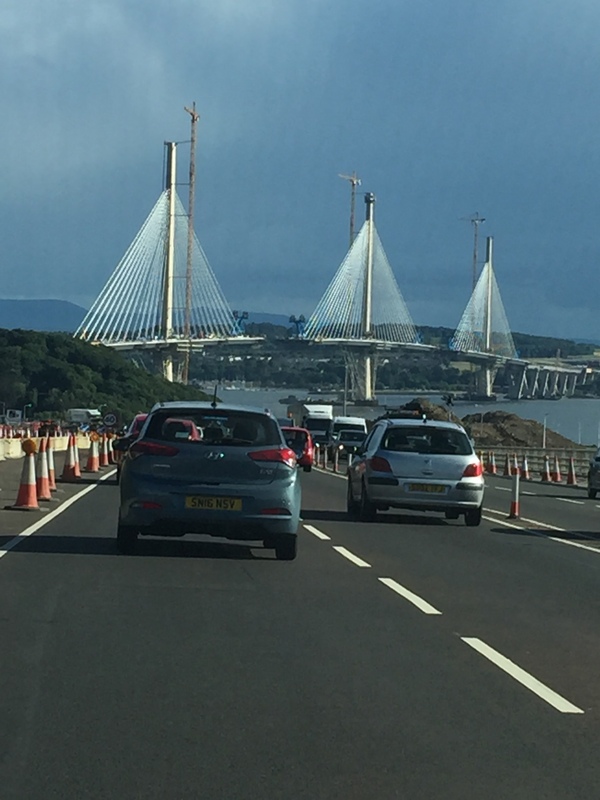 We then set our course to the North with Inverness in our sights, to mix my metaphors, and made a point of taking the Forth bridge over the River Fife. As we all know, the Forth bridge was the origin of the expression “painting the Forth bridge”, used to describe a job that never ended, this due to how they would start painting it at one side and by the time they got to the other, it was time to start again. I was sad to find that modern paint technology mean this is no longer the case as modern paint lasts longer, though the bridge is still fine, red and a beautiful example of engineering. As was the new bridge being built next to it. Enjoying beach life in Luss, at the side of Loch Lomond. The roads were good, the traffic mainly light, and it was eerily reminiscent of driving in Norway. Heading towards Loch Lomond and our first stop at the village of Luss. 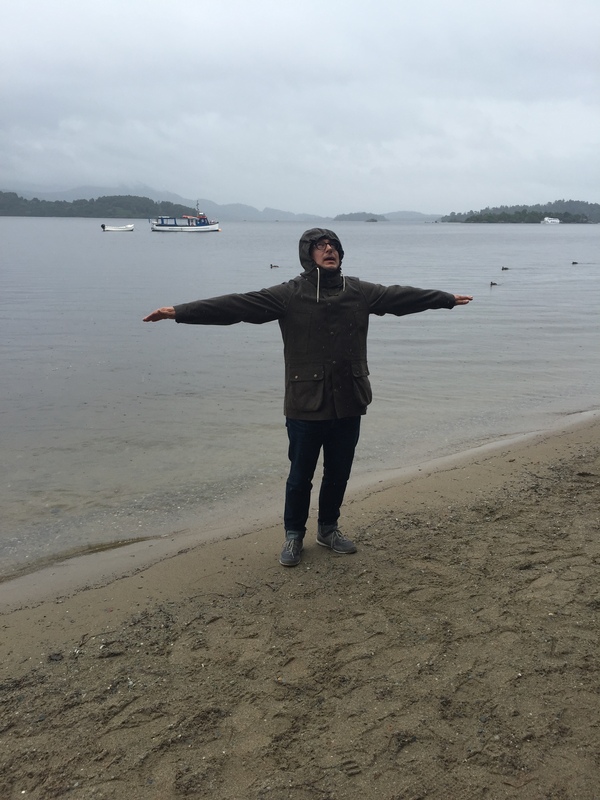 Now Luss proved to be a strange experience. It is apparently a heritage preserved village, so it has loads of that olde worlde cute thing going on. And there are real people living there. On the other hand the place was crawling with several bus-loads of tourists, milling about, taking selfies on residents doorsteps and so forth. It was raining pretty hard at this point (at some point the natives were bound to be right about it alawys raining in Scotland), so against better judgement we stopped by the local cafe for tea and scones. It wasn’t awful, even if the sign outside did promise that the waiters wear kilts, which should be a red flag. Let this photo symbolise all the shitholes and their charity shops, vape shops and vacant shops. C’mon Scotland, get your act together! Back on the road we had decided our next stop would be Fort William, at the southern end of Loch Ness. This turned out to be a an utter shithole. I know, I’m sounding somewhat negative here, but bear with me. On a wet mid-week afternoon no town will be looking it’s best, but I don’t think any amount of sunshine and joy would make this place any nicer. This was where I first realised how many charity shops, vape shops and vacant shops there are in many towns in Scotland, and it is a truly depressing realisation. 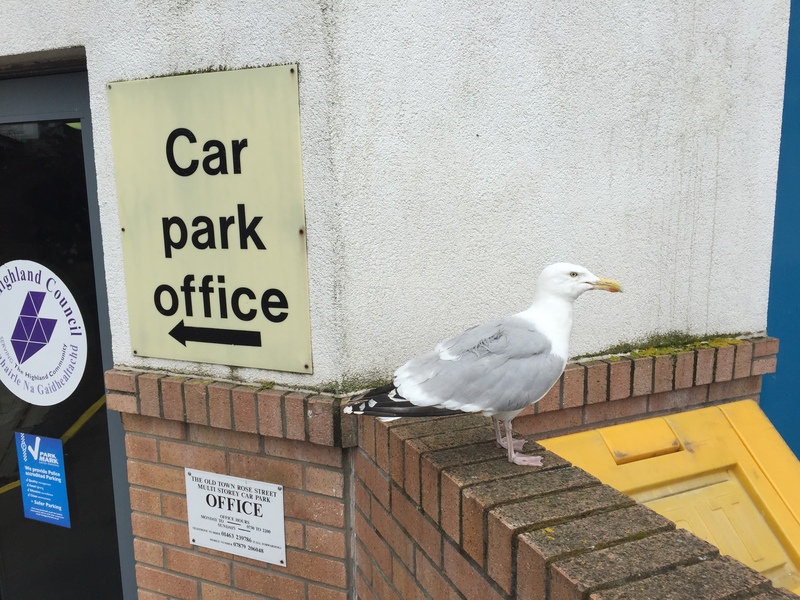 Fort William is one of those places that really only needs to offer short-term parking. Oddly though there were quite a lot of tourists shuffling about, a baffled expression on their face. A friend did mention later that when they used to take their family holidays there 20 years ago it was an awesome place. 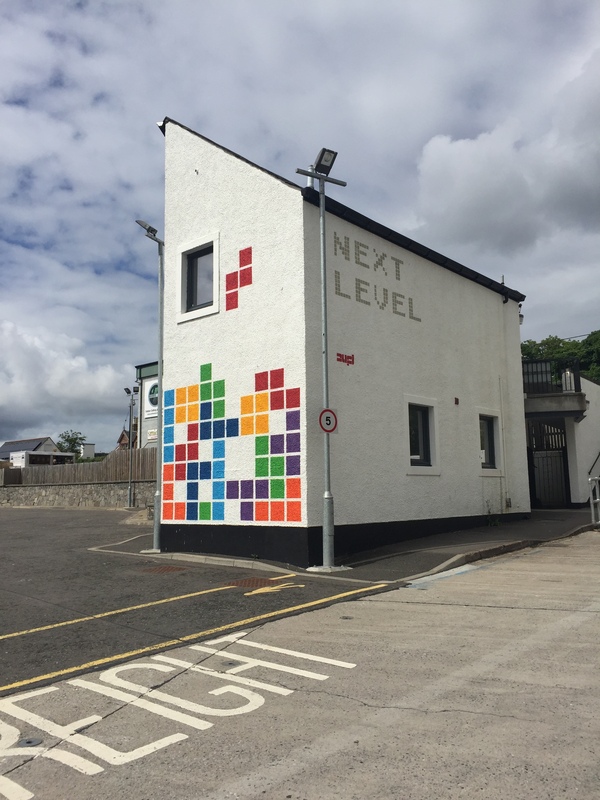 This photo is of a cool building in Ullapool. I was going to show you some of Inverness, but I appear to have neglected to document the miserable place. So onwards towards Inverness again, driving alongside the Loch Ness. The Loch also has me a little baffled. It’s a long lake. It takes a long time to drive along it. And it’s a lake. Yet tourists go crazy for it. The fact that the area is teeming with tourist buses and there is not a vacant room anywhere in the vicinity has to be testament to some truly great marketing. There are many great and fine things to see and do in Scotland, but gazing at the Lock Ness is not even on the list. Sorry Nessie, but unless you put on a better show, or even any show, you’re out. Inverness.Ok, I lied, I did take a photo there. I also have a photo of a local punk-rocker. We had hoped to stay in Inverness, yet it was booked solid when we tried to find somewhere two months before. As it turned out, this was a stroke of luck. Two hours there were more than enough and most of that was spent locating my father who had wondered off to find a cuppa. The largest town in the area, and even though there was clearly lively commerce and industry, there was an air of gloom over the city centre. Handy for charity shops and vape enthusiasts though. 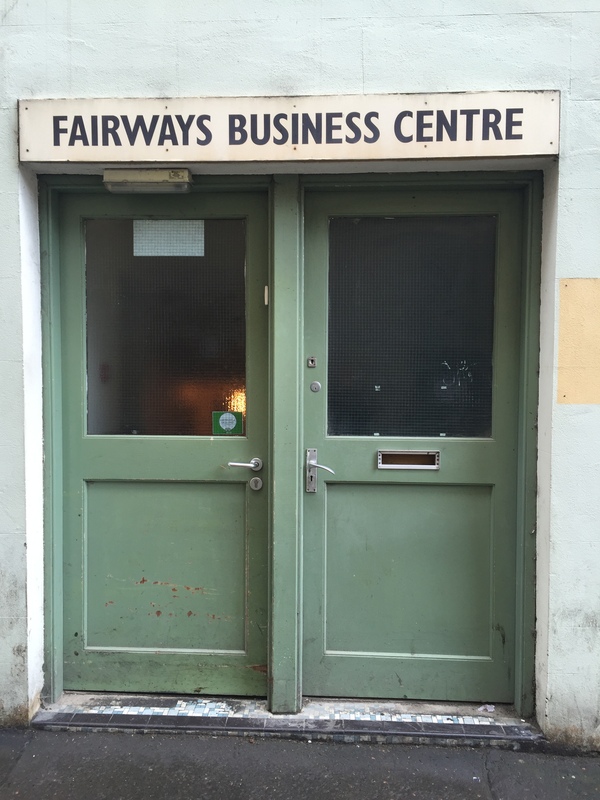 Or if you fancy opening a shop and need space. 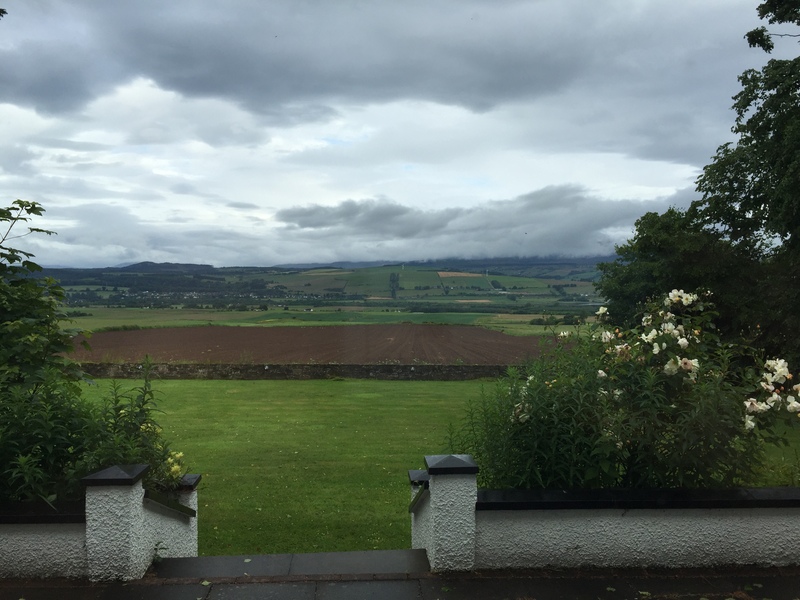 No, the luck materialised when we drove out into the countryside towards Dingwall and arrived at Kinkell House Hotel. A small, quite unassuming hotell with a fantastic view over the countryside and bay below. And this is where the Scotland of the lairds and so forth started to come more alive. While we were the only guests at the hotel for now, it was clearly a place that was used by hunters and fishermen in season. And the food was marvellous, with a new menu for dinner every evening and a proper Scottish breakfast. And thus I was introduced to the pleasures of the haggis. 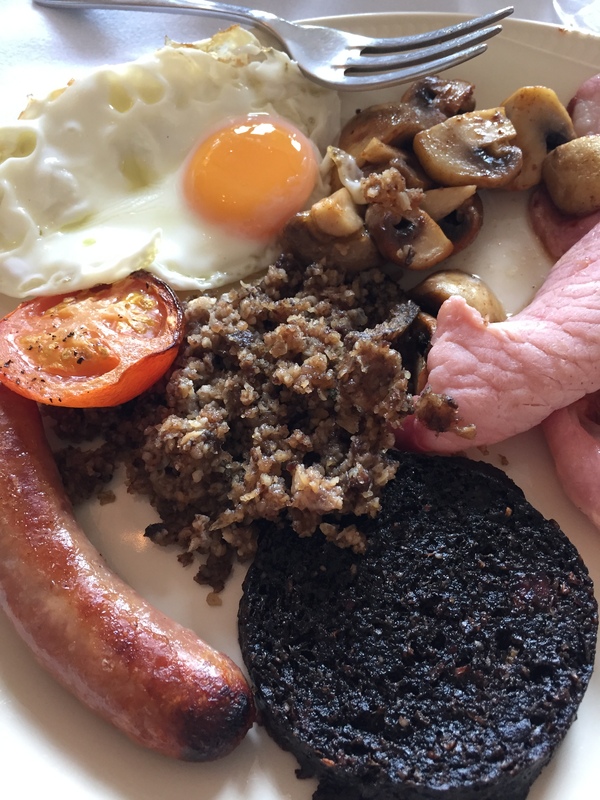 Full Scottish breakfast, with haggis! Good stuff! My dream for this summer was to head all the way up to the Hebrides, a pilgrimage of the Harris tweed if you like. We didn’t get that far though, as time was limited and a day trip would have been mostly spent on the fairly expensive ferry. Ullapool harbour. Take the ferry from here to Stornoway. We did go to Ullapool though and that proved one of the high points of the trip. The drive took in some marvellous Highlands vistas, traffic was light and the roads in fine condition. Rather like a small fishing village in the far North of Norway, it is a small town of mainly summer pleasures. 1500 people live there all year, and a few more during the summer and it is a pretty genuine small place. The one concession to tourism was probably the large parking area, though it was shared with boats and containers on their way to or from the Hebridean islands. 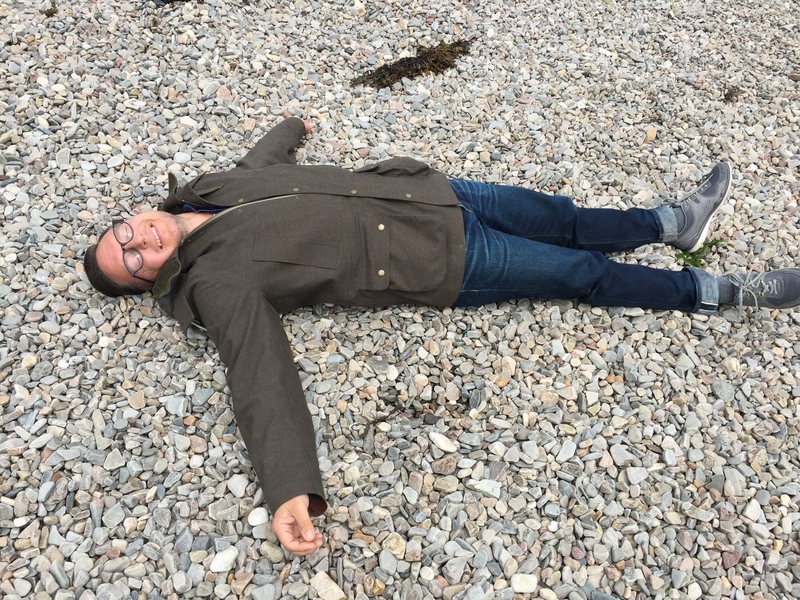 Frolicking on the beach at Ullapool. It was very pleasant day indeed. 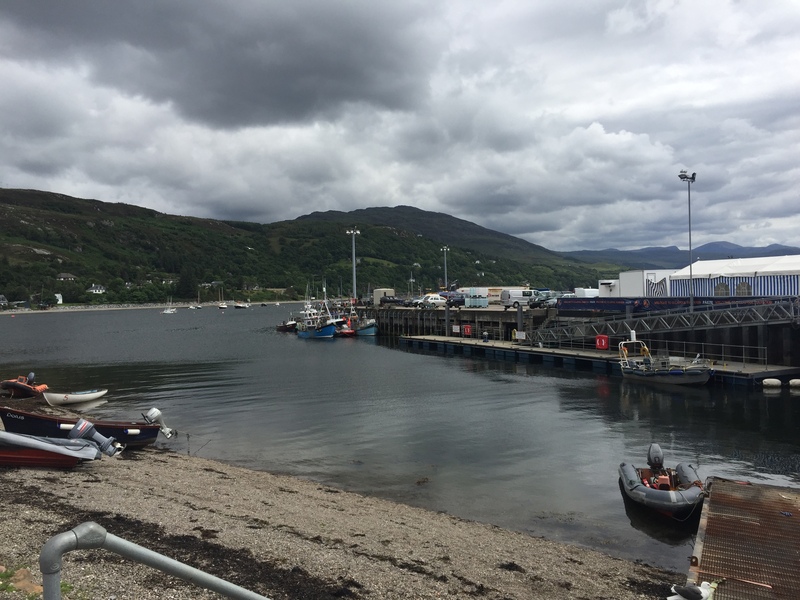 The low point was when we finally decided to join a RIB-boat trip out to see the islands and wildlife, only to discover that the captain of the boat was in Inverness for the day. The high point was probably the incredible “Cullenskink” fish soup served by the two entrepreneurial young girls running the “Seafood shack“. An odd name for a soup, but it really hit the spot. Next year we will take the ferry from Ullapool to Stornoway though. Caught in the rain at Scoon Palace I made friends with a local resident. Heading back towards Edinburgh for the flight how was another long trek over the Highlands. We stopped off in Perth to take in Scone Palace (pronounced “scoon”). This proved a pleasurable visit as it has been in the same family since forever and hence they had a fine display of loot, art and heritage stuff collected by their forefathers. They also served absolutely massive scones in the basement cafe and had splendid gardens to explore. At this point the rain decided to make up for it’s poor show over the past days and really excelled in enthusiasm. Perth itself was another quite depressing place. Not a shithole as such, but there was a definite sense of hopelessness about the town. Again the charity shops, vape shops and vacant shops. Very sad. 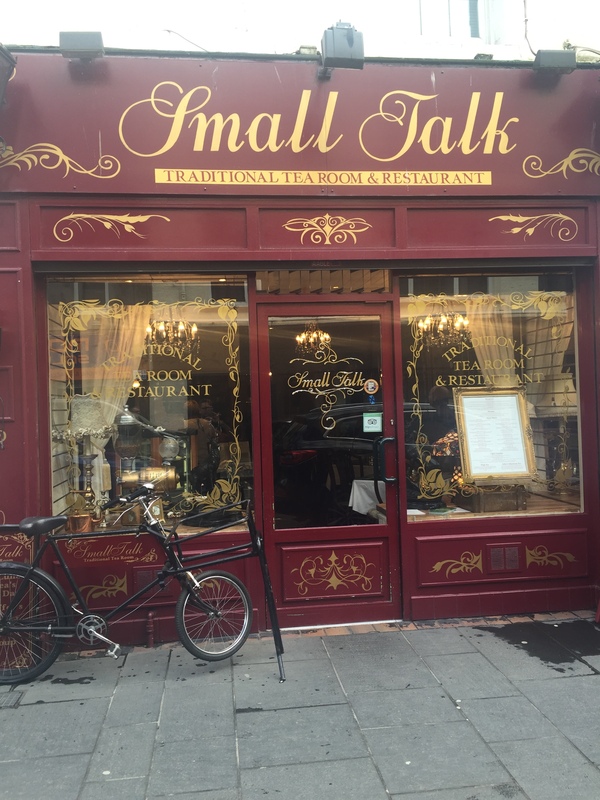 The only place that bucked the trend was the wonderful “Small Talk Tearoom“. A quaintly and very personal cafe, almost cluttered with artifacts and memories, with a genial and friendly host. He claimed to have the best “Cullenskink” soup in Scotland, so we tried it. It was very good, but I still think the girls in Ullapool have a slight edge. If by a stroke of bad luck you happen to find yourself in Perth though, do stop by “Small Talk Tearoom”. And that was it really. Back to Edinburgh airport for a very late flight back to Norway. And if you missed part one, it can be found here. And there will be a final instalment, with a greater content of lairds, ghillies and whatnot. 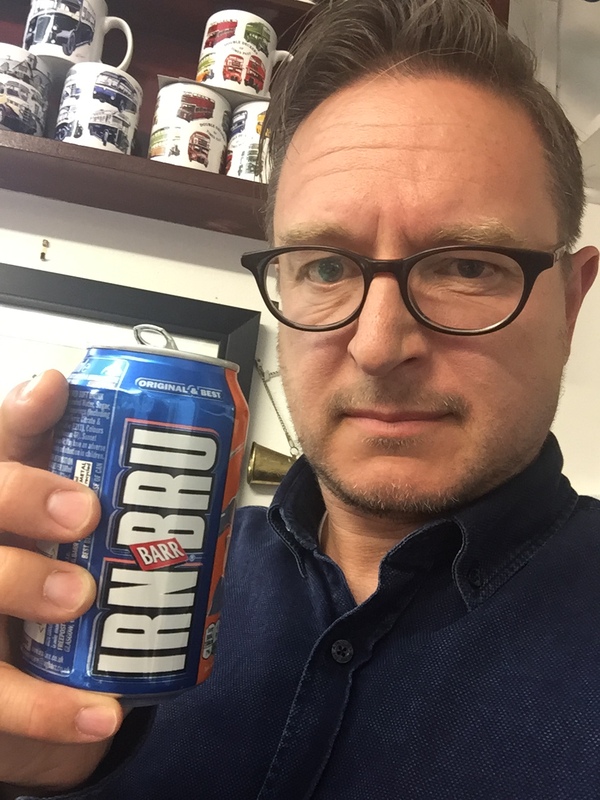 Thinking back now, what places gave the feeling of being really Scottish? Not where there were the most tourists, I’m pretty certain of that. And while there are any number of really crummy places to visit, there are also many wonderful places. The difficult task is to plan ahead and avoid the former. As a final bonus, I’ll let you see one of the three paintings for sale by a local artist at Killen House Hotel. They are on display in the gentlemans toilet and quite reasonably priced. I think they may have been there a while. As I knew you would be curious, I did check the ladies convenience to see if there was a similar sales display. There wasn’t. Thankfully. Let me know if you are interested in seeing the other two wonders of sporrans, ok? We went to Scotland years ago as well. Inverness didn’t impress us much either. The small fishing village Petershead was nice, some small odd places we stopped by the road also gave pleasant memories (small “castles” with no proper guide, just telling all the odd great stories). But the highlight was the clan gathering. As my wife is of the clan Hay, it made this extra special. We were invited to lunch and dinner, but what has really stuck as a great memory was the highland games. We went to the one in Aboyne and had a good time there. I assume you’ll think it’s tourist trap, but when we went there 16 years ago, it wasn’t. Felt more like big family gatherings with contests. This might have changed during the years, and I assume the biggest game near Edinburgh(?) with the queen present will draw a crowd. This is an old tradition only stopped by world wars and has been going on since the 11th century. So if you’re going back in the end of July, start of August, a day at the highland games is well worth it.